Black Mesa is a total conversion modification for the Source engine that faithfully recreates and even improves upon one of the most influential games of all time, Half-life. It had undergone a lengthy development cycle spanning over eight years by a forty person volunteer team. It was often rumored to have been lost to development hell. A few weeks ago when Steam began their “Greenlight” program, this project quickly became one of the most eagerly supported projects and less than twenty four hours before it’s release it became part of the first crop of games to be “green-lit”. Meaning it will eventually become a standalone game available to download and play for free through Steam. 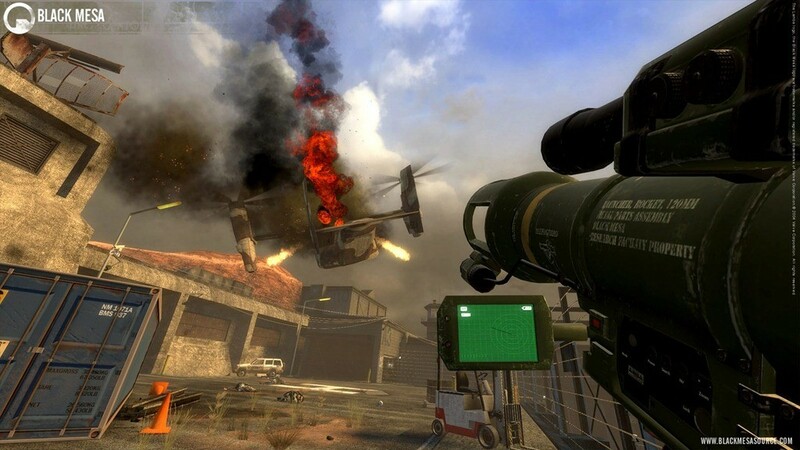 Okay… Half-life is a first person shooter originally developed by Valve Software, creators of the Half-life series, Portal series, Left 4 Dead series, Team Fortress and the Steam software distribution platform. When the original Half-life was released in 1998 it was a paradigm shift in the way people perceived video games. Up until that point, most if not all major FPS games were simple run and gun affairs where you collected a few card keys before finding your way to the exit. 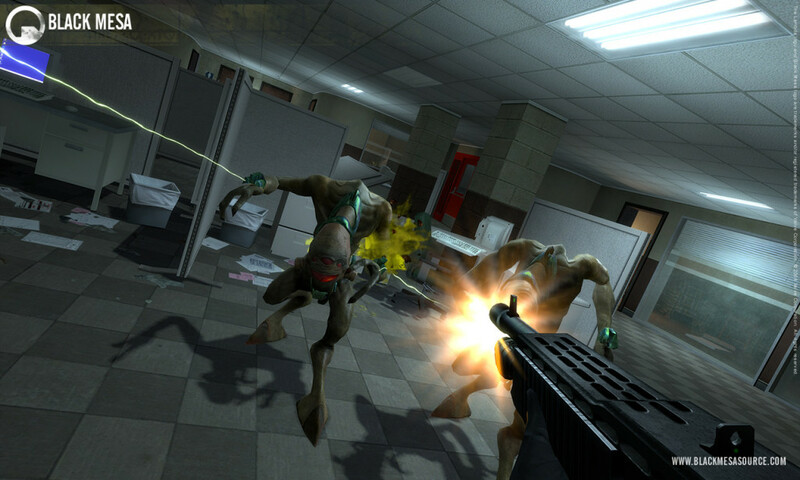 Half-life changed all that when it focused instead on telling a story about a silent protagonist named Gordon Freeman trapped in a government research facility overrun by otherwordly creatures mistakenly conjured by an experiment gone awry. It heavily utilized dialog between characters and puzzle based environments at a time when such things were practically unheard of. Black Mesa does an excellent job of updating the visuals and mechanics using Valve’s own gameplay template by utilizing the Source engine used to develop Half-life 2. What makes this version better than the original? 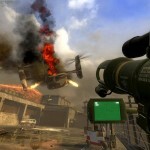 The most obvious improvement is in visuals, Black Mesa looks and feels like we imagine Half-life looked like. 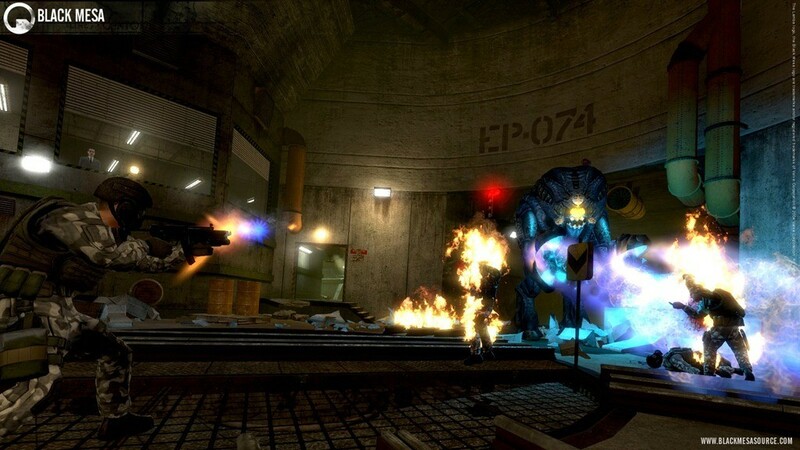 It’s easy to remember how great a game was when it was cutting edge but the years have been unkind to Half-life, which was originally built off a heavily modified version of the Quake II engine. This is why this new iteration is a welcome, if not canonical, addition to the Half-life universe. It successfully migrates almost all the content from the original game into a modern interpretation. I was very impressed by the sound work put into Black Mesa. Even more impressive if you consider the fact I’ve never really noticed the music or sound effects as standout elements in most games with a few nostalgic exceptions like The Legend of Zelda: ALTTP and Final Fantasy VI. All the music in Black Mesa was created specifically for the game and has a very intense but directed vibe. The sound effects for the weapons create an extremely palpable sense of power. The Magnum revolver fires with such a deafening cacophony of force that you almost expect it to explode in your hands and the Assault Rifle’s weighty violent clatter of fire makes it feel like a ridiculously dangerous implement of death. 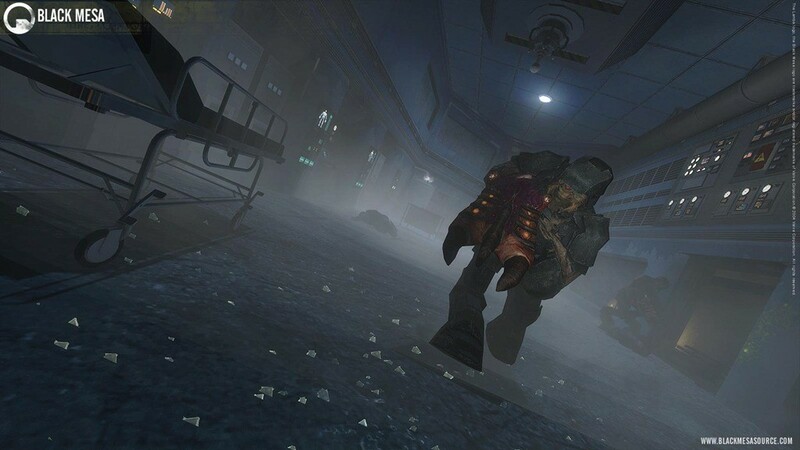 Several of the iconic creatures from Half-life 2 first appeared in Half-life, among them the Head Crab, ceiling-dwelling Barnacle and the cycloptian Vortigaunt, but many of the creatures from Half-life didn’t make the cut when Half-life 2 was released. Believable enemies whose quality stands side by side with Valve’s own work. Because of this, there were no modern models of the enemies encountered in the original game. 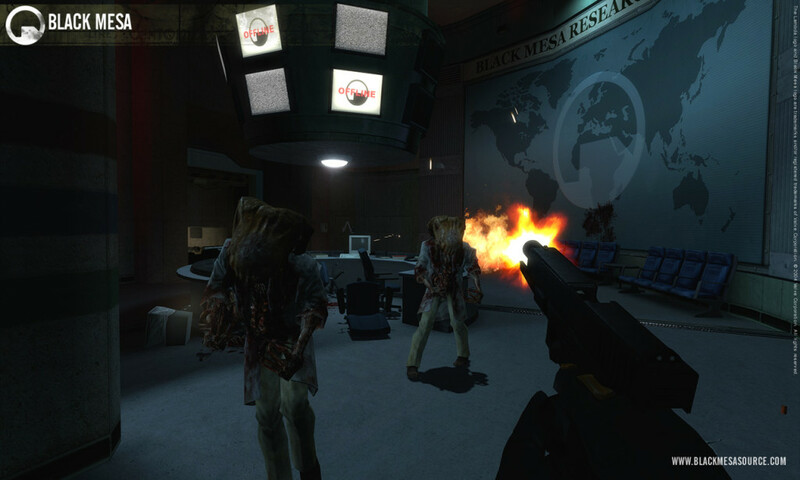 The Black Mesa development team took it upon themselves to build and program the behavior of a wide variety of creatures from scratch. What makes this so impressive is the fact that the quality of these enemies, not only in how they look but their behavior is exquisitely implemented. Complaints about enemy AI in an FPS game are almost a given, that’s what makes Black Mesa all the more impressive to see a team create (with no expectation of restitution) such believable enemies whose quality stands side by side with Valve’s own work. The action and level design (which retains about 80-90% of the original layout) are spot on. If you’re itching for a legitimate Half-life experience and don’t want to load up Half-life 2 for your nth playthrough, Black Mesa has got you covered. The only real standout flaw in the game is it’s voice acting. Many of the characters voices and faces just don’t seem to fit. Eli Vance’s voice actor especially misses his mark. It’s a minor flaw which is pretty easy to overlook as you begin to realize that while the voice acting isn’t the best, the fact that every single scientist isn’t an Einstein clone, like in the original, helps you come to terms with the fact that a volunteer produced labor of love doesn’t have Hollywood quality acting. My only other complaint is the over reliance on a game mechanism that I thought had thankfully gone the way of the Dodo: “Crouch-jumping”. “Crouch-jumping”…uncomfortable and adds absolutely nothing except frustration to the experience. The idea is that if you press jump you’re really just making a vertical leap, but if you press crouch while in mid-air, you’re actually pulling your legs up like a hurdler. 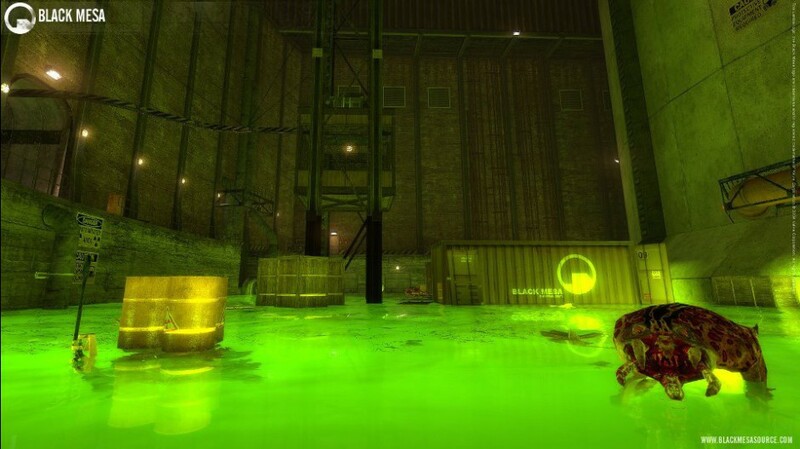 In Black Mesa, nearly every single crate and table is just a little too tall to leap onto so you will be constantly pressing crouch while in mid-air in order to clear an obstacle. This can be even more frustrating when you’re trying to run and jump onto an object, thereby requiring you to hold Shift and W, then pressing and holding Space while simultaneously pressing Crouch. That’s four simultaneous depressed keys, it’s uncomfortable and adds absolutely nothing except frustration to the experience. If you’re a fan of the Half-life series, this modification is a perfect way to relive the glory days. If you’ve never played Half-life, this is an excellent way to introduce new players to the HL universe. Black Mesa exudes such a level of excellence it’s difficult to believe that this was a fan made endeavor. It’s gameplay and polish standup to even today’s Triple-A titles. It’s free and it’s available now, you should do yourself a favor and play it. Black Mesa should now appear in your list of games, Enjoy!